The Montessori Schools provide an engaging early childhood education program built upon the classical methods of Maria Montessori. Our school puts children on a path that embraces creativity, builds self-awareness and helps them develop the academic skills, physical tools and personal confidence necessary for lifelong success. Our SoHo campus serves children ages 18 months-6 years. Our Flatiron school serves children ages 2 years-6 years. We are committed to teaching your children in a supportive, wholesome and state-of-the-art environment. Our students work independently, as well as in mixed age groups, to cultivate their self-esteem, self-discipline, time management skills, and problem-solving abilities. Each day, our teachers encourage open communication and a healthy exchange of ideas among students. Our goal is to help children evolve into happy, curious and creatively rigorous young individuals who are secure in themselves, and open and empathetic to the needs of others. It has been widely documented in scientific research, including the Mischel, Ebbesen and Zeiss “Marshmallow” study at Stanford, that these early years are the most important in your child’s emotional and educational growth - a time when the mind, both neurologically and figuratively, is at its most receptive and adaptive. We recognize our profound responsibility to make the most of these formative years and inculcate a love of learning that will serve your children for the rest of their lives. This is our promise to every parent and child of The Montessori Schools. The Montessori Schools are the first Manhattan campuses of La Prima Casa Montessori (LPC), the most trusted Montessori name in South Florida. With two schools in the downtown Miami area, La Prima Casa caters to the learning needs of children ages six months to nine years. We are a family of educators, parents and students who share a deep appreciation for the Montessori Method because we see the amazing curiosity, confidence and love of learning it instills in our children. La Prima Casa was founded by Angela Ciocca, a long-time teacher and administrator, who remains LPC’s Director, and her brother Marco. Together they have turned La Prima Casa into a family business that proudly prospers while making a difference for kids. 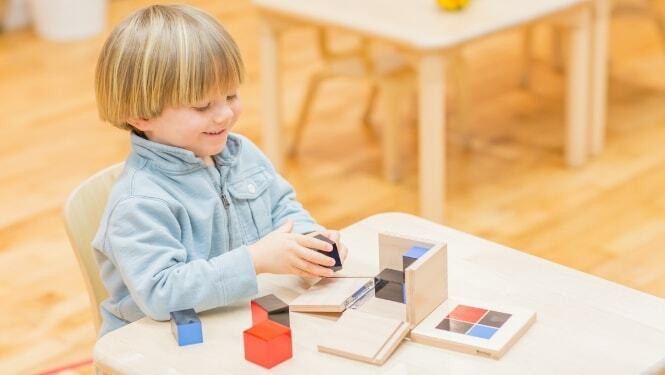 The Montessori Schools are the latest chapter in their ongoing efforts to bring this proven methodology, along with numerous proprietary LPC enrichment programs, to as many children as possible. The Montessori Schools are the first Manhattan campuses of La Prima Casa Montessori, the most trusted Montessori name in South Florida. With two schools in the downtown Miami area, La Prima Casa is a family business that proudly prospers while making a difference for kids. Click here to visit our sister school's website.